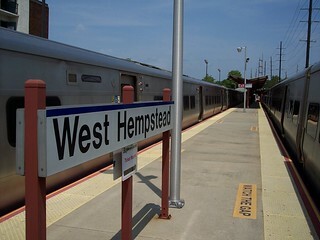 We began our trip on the West Hempstead Branch here in West Hempstead. Back in the 1930s the West Hempstead Branch didn't end here but continued northeast to Country Life Press. 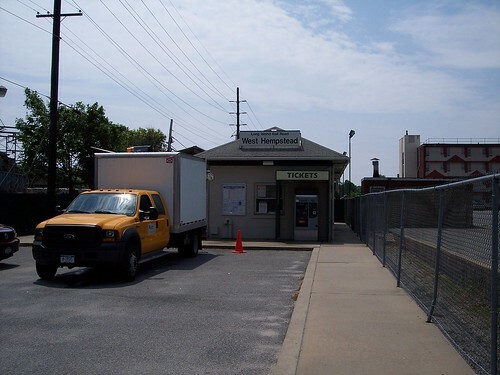 Our train to Valley Stream prepares to depart.